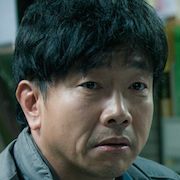 Taxi Driver Sang-Gu (Park Chul-Min) is an ordinary father. 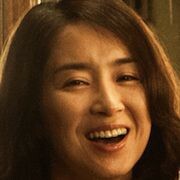 He is so proud of his daughter Yoon-Mi (Park Hee-Jung) who works at a factory for a large corporation, but somehow also feels sorry for Yoon-Mi. 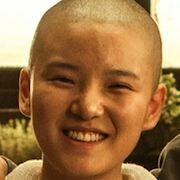 Because of their poor financial situation, Yoon-Mi could not attend college. Meanwhile, Yoon-Mi tells her father that she will one day buy him a new car and pay college tuition fees for her young sibling. Less than 2 years after Yoon-Mi begins her job, she becomes ill and returns home. Yoon-Mi is unable to get proper treatment from the company where she worked and she dies. Sang-Gu promises to Yoon-Mi that he will let others know her story. Movie is based on the true story of Hwang Yoo-Mi. In 2003, at the age of 21, she began work at a factory for Samsung Semiconductor.In 2005, she was diagnosed with leukemia and died in 2007. Her father Hwang Sang-Ki, who worked as a taxi driver, fought against Samsung Semiconductor to take responsibility for his daughter's death. Dawn Feb 20 2014 3:00 pm A spectacular movie! I give it two (2) thumbs up.....this is a must see movie about the injustice in the world that big corporations do to the little person and one (1) parents undying and unwavering love for their child, and the passion to fight until someone listened and agreed that their child was caused harm when all they were doing was working to be a good upright citizen. Again, fantastic portrayals by all of the cast involved in this picture, the backdrop of this film is also realistic....see this movie, I encourage it. 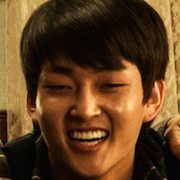 "누구나 믿었던… 또 하나의 가족, 누구도 말 못한… 둘도 없는 갑질", "news.khan.co.kr," "October 10, 2013". "故황유미 실화 '또 하나의 가족' 제목변경 후 내년 개봉확정", "tvreport.co.kr," "November 26, 2013".